A web page for the villagers, about the village and by the villagers. On October 19 2018 the web page www.letlhakeng.com was launched. 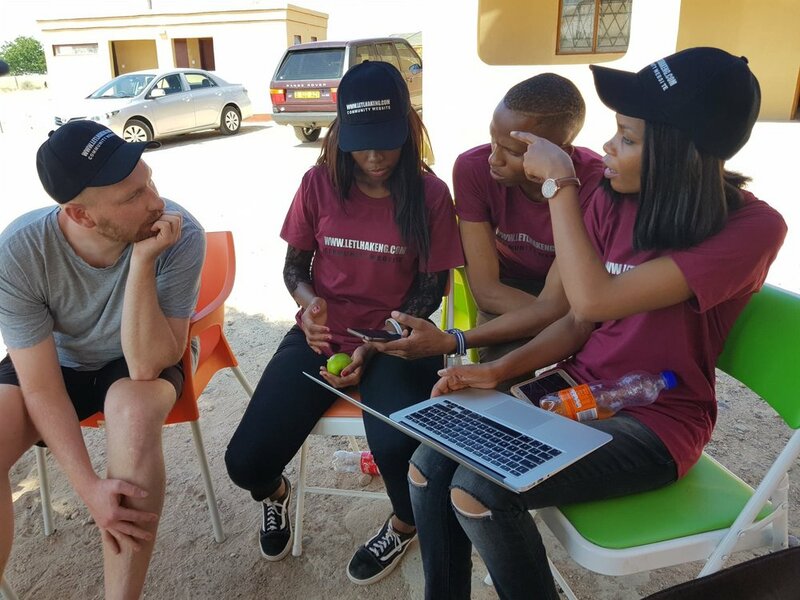 It is the result of the project’s wish to give something back to the generous, kind inhabitants of the Botswana village where an important portion of the project’s fieldwork was conducted, and where the PI has carried out fieldwork regularly since 1990. Our original idea was to organise a seminar in the village kgotla for all villagers to come and hear about the findings from the project that were of interest to the village. However, based on our findings, and new reflections, we decided that it would be of greater value for villagers if we assisted in creating a web page for the village. There are several reasons for why we landed on this strategy. First, we found that especially many villagers were not able to utilise programs and schemes that could improve their lives because they lacked relevant information. A web page could be an ideal platform for disseminating information about such resources. Secondly, although the village belongs to the peripheral part of Botswana it is placed in the intersection of several routes that both tourists and Batswana frequently use. Thus, an easily accessible information hub containing practical information for visitors and passerbys could boost local businesses. Thirdly, we found that there is not one, unifying information hub for villagers. As their access to the internet becomes consistently easier and cheaper, a village web page can well serve such a purpose. Especially as the various local institutions would increase their own outreach if they made use of the page. And lastly, our experience so far has shown that it has already become a source of pride for the village’s inhabitants. As the village chief expressed it, this web page places Letlhakeng on the global map! Thus, the web site is non-profit, non-commercial – about Letlhakeng, for Letlhakeng and by people from Letlhakeng. Its goal is to contribute to a positive development of Letlhakeng village, by providing useful and transparent information to villagers and other interested parties. www.letlhakeng.com is co-owned by the research project and Letlhakeng village. Journalists and photographers: Keemenao Carven Keresiane; Katso Garebunantse; Kebafilwe Moselesele; Mary Gipadileng; Chinana Bontle Keikantseng and Boemo Keoepile. From the Norwegian side: Niels Theissen (Editor in chief), Ardis Storm-Mathisen (mediafrica researcher) and Jo Helle-Valle (head of mediafrica project). An Advisory Board consisting of Lesego Phillip (Principal Library Officer); Itsoseng Gaoonwe (Village Kgosi); Felicity Nyoni (Youth Development Officer); Kenny Kenanao William (teacher of English at Mphuthe Junior Secondary School). A person from VDC will also be appointed. Ardis Storm-Mathisen’s article ‘Visual Methods in Ethnographic Fieldwork – On Learning from Participants Through their Video-accounts’ has been published in Forum for development studies, 2018, 45(2), 261-286. 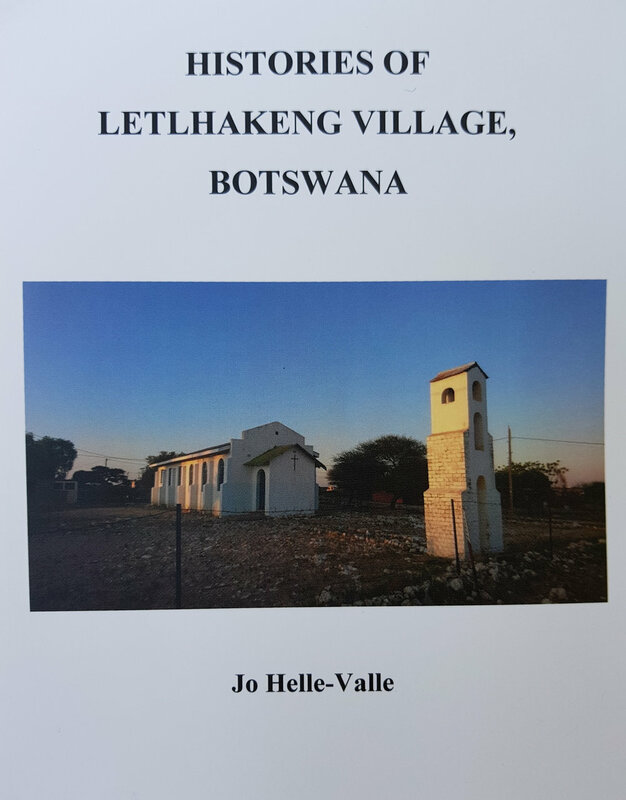 November 3rd 2017 the PI’s book “Histories of Letlhakeng village, Botswana” was handed over to various persons and institutions in Letlhakeng. It is the first book about this village’s historical roots. Of course, with few written sources, relying mostly on the memory of the old there are many stories, not one history. Added to this, history seems to become increasingly politicized in the village, as some envision having their own kgosi (chief) in the House of Chiefs in the capital. To that end history is a strong legitimizing force. The picture shows the author handing over two copies to the local library. Copies were also given to the sub-district chief, the village chief, the deputy village chief, the local Council Secretary, and other persons who have contributed to the book. The PI and dr. Storm-Mathisen are near completion of their second period of fieldwork in Botswana. Five weeks of intensive work, partly in Gaborone and partly out in Letlhakeng, Kweneng West. Even though only one and a half year has gone since the last field visit visible changes have taken place in the village. All the main roads in the village are now paved and street lighting is a striking visual change. It is claimed that this has made it safer for women to move around after dark. Of course, in a land with still unreliable electricity grid but unlimited access to sun rays these lights are solar-powered and light sensor regulated. Good technology! PI Jo Helle-Valle and senor researcher Ardis Storm-Mathisen met with Ronald Keikotlhale and Phodiso Potesh Pole Nov 6th at Department of Telecommunications and Postal services, Ministry of Transport and Communications to share knowledge and discuss future collaboration.